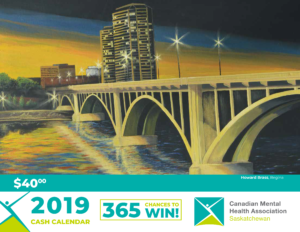 Friends for Life is a CMHA Saskatchewan program which offers workshops about mental health, workplace wellness, and suicide prevention. The Friends for Life program is designed to provide awareness and knowledge to communities, schools, educators, students and the general public including employers and their employees. Friends For Life offers workshops to enhance people’s skills which can help them to be a support and resource to those encountering someone with mental health concerns. Mental illness and suicide have a great many factors in common. Aside from any cause-effect relationship, their biggest similarity is that people are extremely hesitant to discuss, self-disclose or acknowledge that either exists. Because of this reluctance, a lack of information (and considerable misinformation) surrounds both – that is why Friends For Life is here to help. Friends for Life has many different workshops available including: suicideTALK, safeTALK, ASIST (Applied Suicide Intervention Skills Training), Tattered Teddies, Living Life to the Full, Mental Health First Aid, Grief & Loss Recovery, as well as Communications & Problem Solving Skills. For information on upcoming Friends for Life workshops please contact Donna at 1-306-692-4240 or email donna.cmha@sasktel.net. Workshop Sponsorship: Please note that workshop sponsorship is available for those without the financial means to attend a Friends for Life Workshop. Those who meet the criteria can apply for a sponsorship to attend a particular workshop. 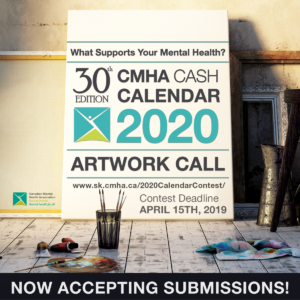 Sponsorship inquiries can be made with Donna Bowyer by calling 1-306-692-4240 or emailing: donna.cmha@sasktel.net. with communities: to be suicide alert — to have people trained to be able to identify, ask, connect and intervene when someone has thoughts of suicide. For every attempted suicide, there are 100 non-fatal suicidal behaviours ranging from failed attempts, to engaging in behaviours where death is a very real possibility, e.g. combining drugs and alcohol with potentially lethal weapons such as fast cars. (SIEC). In Saskatchewan the number would be 10,000 plus per year. It is obvious that knowledge, skills and changed attitudes are required if we are to effect improvement in both Mental Health and Suicide Prevention. Our hope is that by providing information and strategies, people will feel empowered to be more responsive to their own Mental Health needs, as well as those of their families, friends and colleagues. For any information about Friends for Life, please contact Donna Bowyer, the Friends for Life Program Director.